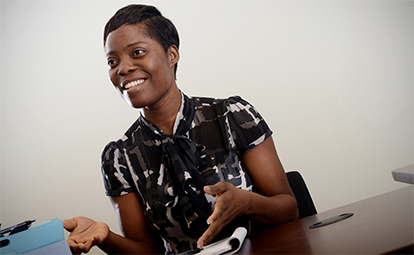 Employers from all segments of the global economy seek out our management operations graduates. They find innovative leaders prepared to work in manufacturing, service, profit and not-for-profit organizations. You'll graduate ready to lead an organization's efforts to reduce operations costs, build customer and supplier partnerships, and provide products and services at competitive prices. Employers will look to you to help them quickly adopt new technologies. You will own fresh skills in customer satisfaction, total quality management, supply chain management, benchmarking, automation, productivity improvement, new product development, re-engineering and employee training and education. Small classes taught by faculty qualified in their disciplines and active in research. The latest tools and technology are available in Centennial Hall. Networking opportunities with professionals, develop leadership skills and build international friendships. St. Cloud State APICS team regularly participate and place in the top three of teams in the APICS Great Lakes District Case Competition. St. Cloud State APICS teams regularly place first in the bi-regional C.K. Nelson Paper Competition. Our management graduates hold top management positions in profit, nonprofit and government sectors.